Private room rental service Airbnb used to be locked in bitter rivalry with its clones, which include two Germany-based companies – Stephan Uhrenbacher’s 9flats and Rocket Internet’s Wimdu. 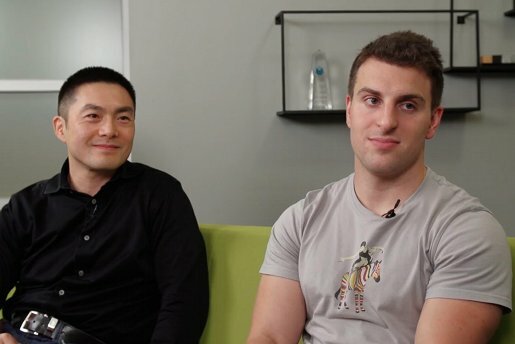 Now, it’s been revealed that Airbnb came close to buying Wimdu in 2011 but decided against it, as Airbnb cofounder Brian Chesky told TechCrunch in a video interview published on Friday. In the interview, Chesky says, while in Berlin in 2011, he had to decide between acquiring Wimdu and a “Plan B”, which the company at the time hadn’t figured out. He made a gut decision not to take over the company, in part because he couldn’t imagine the cultures of the two young companies fitting well together. The Samwers, the brothers behind company builder Rocket Internet, went on to build up Wimdu internationally, at one point employing 400 staff in 15 offices just two months after starting up. Airbnb grew more slowly but organically. Chesky did say that the Samwers’ approach of opening local offices in new markets at launch makes sense and that Airbnb successfully copied some of Wimdu’s strategies. Airbnb’s mix of organic growth and established local presences means it’s now considered the market leader globally. Wimdu to date hasn’t found a buyer.